Another novel that is based on actual events from the nineteenth century, this one is everything that Harry Thompson's is not. Short, bitter, small-minded, shrill. This is the first Beryl Bainbridge book I've read that I really haven't liked. It's based on the case of a clergyman who was found guilty, after forty odd years of marriage, of brutally murdering his wife and then attempting to take his own life, claiming that she drove him to it. 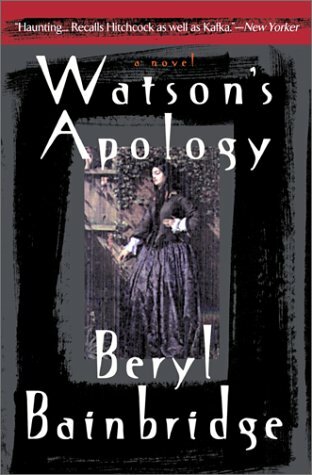 Bainbridge's apology for his actions is a catalogue of sadness, missed opportunities, tiny triumphs in mediocre lives, repressed sexuality, misunderstandings, and a very boring court case. I didn't even read it all the way to the end, just skimmed the court proceedings. I'm sure she was making some kind of point with them, but for the life of me I can't figure out what.